Dr.Ozlem Tokusoglu has completed her PhD at Ege University Engineering Faculty, Dept. of Food Engineering 2001. She is currently working as Associate Professor Dr faculty member in Celal Bayar University Engineering Faculty Department of Food Engineering. Tokuşoğlu performed a visiting scholar at the Food Science and Nutrition Department /University of Florida, Gainesville-Florida-USA during 1999-2000 and as visiting a professor at the School of Food Science, Washington State University, Pullman, Washington, USA during April-May 2010. She has published many papers in peer-reviewed journals and serving as an editorial board member of selected journals. Tokuşoğlu published the scientific edited three international books entitled Fruit and Cereal Bioactives: Chemistry, Sources and Applications and entitled Improved Food Quality with Novel Food Processing by CRC Press, TAYLOR & FRANCIS,USA Publisher,as third book Food By-Product Based Functional Food Powders by CRC Press,too; Dr Tokusoglu also published three national books entitled Cacao and Chocolate Science and Technology , Special Fruit Olive: Chemistry, Quality and Technology and third one as Frying Oils Science and Technology. She is Associate Editor of WILEY Journal of Food Processing and Preservation. She organized and/or administered as Conference Chair and Group Chair of Food and Nutrition at many conferences and Congress in different continental countries as majorly in the USA, Canada, Europe and the Asia Pacific in CONFERENCESERIES LLC, USA &UK. Yuanlong Pan completed his BVM from Gansu Agricultural University, P.R. China. Dr Pan received his PhD in Animal Nutrition from Virginia Tech, USA and PhD in Human Nutrition from UNC-Greensboro, USA. Dr. Pan conducted research in the area of menopause and cognition at Wake Forest University School of Medicine from 1996 to 2000. In 2000, Dr. Pan joined Nestle Purina Research. 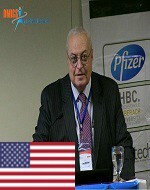 He has published more than 18 papers, filed 41 patent applications and obtained 10 patents. Recently Dr. Pan won the Academy of Science-St Louis 2016 George Engelmann Interdisciplinary Award for his outstanding achievement in science through collaboration. Nutrition Industry Network, Evidence-Based Nutrition. Luis Gonzalez Vaque, professor at the Universidad de Girona (Spain), “Pablo de Olavide” de Sevilla (ídem), San Antonio de Murcia (ídem), de Castilla-La Mancha (ídem) and of the CEI International Affairs - Universitat de Barcelona - Universitat Autònoma de Barcelona (Master en Diplomàcia i Funciò Pública Internacional). 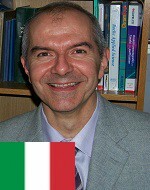 He is also lecturer at the Università degli Studi di Ferrara and the Università degli Studi del Piemonte Orientale Amedeo Avogadro (Italia). Mr.González Vaqué is at the present time Director of Food and Agrarian Policies of the “Fundació Triptolemos” (Barcelona) and member of the “Grupo de Reflexión ‘El futuro de la Unión Europea’” (Instituto Universitario de Estudios Europeos, Madrid) and of the Food Research Collaboration (UK). Claudio Gallottini is a Doctor of Veterinary Medicine and Veterinary Science and three specializations in Inspection of Food of Animal Origin, Animal Health and Animal Productions and in Animal Breeding at University of Perugia. He works with ITA Corporation, a North American consulting company based in Miami (Florida) and Vancouver (British Columbia) providing constant support to Importers of food products from abroad by promoting and providing auditing and training programs. Dr Suphachai Nuanualsuwan has completed his Doctor of Veterinary Medicine from Chulalongkorn University. He has pursued his Master of Preventive Veterinary Medicine and PhD in Doctor of Philosophy in Food Science and Technology from the University of California, USA. He is working as a Lecturer of Microbial Food Safety and Quantitative Risk Assessment at the Faculty of Veterinary Science, Chulalongkon Univesity, Bangkok, Thailand. Dr.Yasin Özdemir has been a researcher from 2007 to present in the Department of Food Technologies, Ataturk Central Horticultural Research Institute Yalova/Turkey. He was also an auditor of 'Food Safety and Standards’ between 2004−2007 in the Yalova Agriculture Ministry Office. He has 1.st National Olive Oscar Award for his innovative olive technology research project at 2015 and 3 times worthy to be exhibition awards (2015/2016/2017) at International Food R&D Project Market. 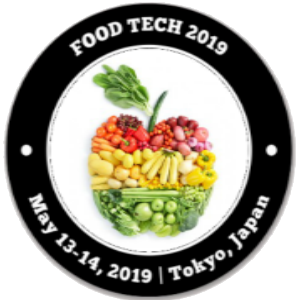 His research program involves: eco-friendly food technology, table olive technology, new fruit and vegetable selection works for the final step of a breeding project, new food technologies, olive oil, food safety, functional foods and probiotic foods. 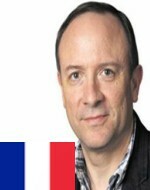 Since 1991, Dr JF Hocquette has been a research scientist at INRA (the French National Institute of Agricultural Research). His research interest mainly concerns muscle biology as relevant to muscle growth and beef eating quality. In 2014, Dr Hocquette organized the French Meat R&D congress (240 people). Dr Hocquette is strongly involved in the activities of the EAAP (European Association for Animal Production) and is also an active member of the French-Chinese Center on beef production. 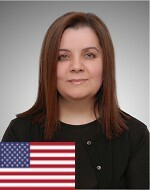 Ozlem Tokusoglu has completed her PhD at Ege University Engineering Faculty, Department of Food Engineering at 2001. She worked as a research fellow/doctor assistant/ assistant professor/associate professor at Ege University and Celal Bayar University during 1993 to now. She is currently working as Associate Professor faculty member in Celal Bayar University Engineering Faculty Department of Food Engineering. She performed a visiting scholar at the Food Science and Nutrition Department /University of Florida, Gainesville-Florida-USA during 1999-2000 and as visiting Professor at the School of Food Science, Washington State University, and Pullman, Washington, USA during April-May 2010. She organized and directed as Conference Chair the International Congress entitled ANPFT2012 (Advanced Non-thermal Processing in Food Technology: Effects on Quality and Shelf-Life of Food and Beverages in May, 2012 at Turkey. She served as organizing committee member at 2nd International Conference and Exhibition on Nutritional Science & Therapy Conference in July 2013 at Philadelphia, USA. She has published many papers in peer reviewed journals and serving as an editorial board member of International Journal of Food Science and Technology by Wiley Publisher, USA and Polish Journal of Food and Nutrition Sciences (PJFNS) in Thomson Reuters. She published the scientific edited two book entitled Fruit and Cereal Bio-actives: Chemistry, Sources and Applications by CRC Press, Taylor & Francis, USA Publisher and entitled Improved Food Quality with Novel Food Processing by CRC Press, third book Food By-Product Based Functional Food Powders is also in progress. 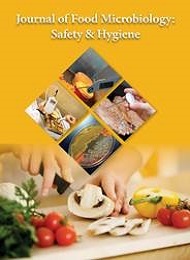 Food Chemistry & Quality Control & Novel Food Processing Technologies, Food Bioactives (Food Phenolics, Food Antioxidants, Bioactive Lipids, Mycotoxins), Food Additives and Toxicology, Novel Processing Technologies including High Pressure and PEF, Oils and Fats, Frying Oil Chemistry & Technology, Functional Food Technologies & Nutraceuticals, Chemistry of Food Toxicants. Osama Ibrahim is a highly experienced, principal research scientist with particular expertise in the field of microbiology, molecular biology, food safety, and bio-processing for both pharmaceutical and food ingredients. He is knowledgeable in microbial screening /culture improvement; molecular biology and fermentation research for antibiotics, enzymes, therapeutic proteins, organic acids and food flavors, biochemistry for metabolic pathways and enzymes kinetics, enzymes immobilization, bio-conversion, and analytical biochemistry. He was external research liaison for Kraft Foods with Universities for research projects related to molecular biology and microbial screening and holds three bioprocessing patents. In January 2005, he accepted an early retirement offer from Kraft Foods and in the same year he formed his own biotechnology company providing technical and marketing consultation for new start up biotechnology and food companies. My research interests range from exploiting bioenergy and microalgae, laser asteroid deflection and laser and combined systems for inactivation of microorganisms. Areas permeating each theme are complex experimentation, real time detection, monitoring and control of processes. 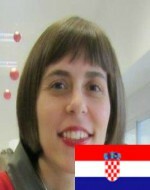 She is an Associate professor in the Department of Food Engineering, University of Zagreb, Croatia. She hold a Ph. D. Degree on Ultrasonic effect on physical and functional properties of whey proteins from Faculty of Food Technology and Biotechnology from University of Zagreb in the year 2008. Angela Zinnai has completed her 1st PhD from the Scuola Superiore Sant' Anna, Pisa. 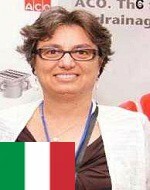 She is an Associate Professor of Food Technology at Pisa University. In 2008, she received a “Special Mention” at “Montana Premium” for Food Science Research (with her colleague Venturi F). She published more than 100 papers in journals or volumes and serving as a referee for research projects and papers. She was a scientific responsible for an Original Patent (PT2009A000018), an author of two Original Patents of Pisa University. She was invited speaker and part of the organizing committee for several national and international workshops and conferences. Francesca Venturi has completed her 1st PhD from the Scuola Superiore Sant'Anna, Pisa. She is a Researcher in Food Technology of Pisa University. 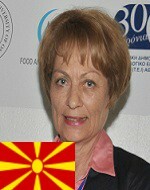 In 2008, she received a "Special Mention" at "Montana Premium" for Food Science Research (with her colleague Zinnai A). She published more than 90 papers in journals or volumes and serving as a referee for ACS journals. 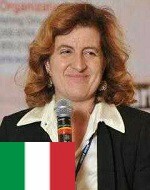 She is the author of two original patents of Pisa University. She was invited speaker and part of the Organizing Committee for several conferences organized in past years. Professor of Chemistry at the Holy Spirit University of Kaslik (USEK), with a Phd in Chemistry from the University of Claude Bernard-Lyon I in France. 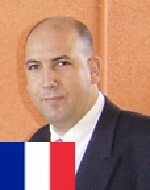 Naim Ouaini was knighted in the Order of Academic Palms by the French Republic. 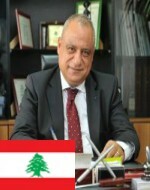 From 2003 to 2010, he was Dean of the Faculty of Sciences and Computer engineering (FSGI) at USEK. Since 2011, he has held the position and title of Assistant to the Rector for Public Administration in the USEK and is the designated Head of the Department of Basic Sciences and Health Faculty of Medicine and Medical Sciences at USEK. Furthermore, he is one of the founding members of the LAAS association (Lebanese Association for the Advancement of Science) and for the International Scientific Committee CIMA3. Naim Ouaini has succeeded in achieving numerous scientific agreements with French universities, such as: Paris-Sud, AgroParisTech, University of Claude Bernard-Lyon I, Poitiers, Bordeaux, INPL and others. In addition, he has managed several research projects funded by French and Lebanese organizations, such as: AUF, CEDAR, CNRS, Rhone-Alpes MIRA and others. 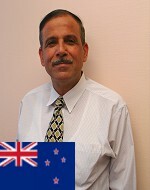 He has also contributed in the organization and implementation of various seminars and national and international conferences, and has published over 50 scientific articles in international scientific journals on Industrial Chemistry, Organic Chemistry, Water, Environment, Food Biochemistry, the Robotics teaching and the analysis techniques. Industrial Chemistry, Organic Chemistry, Water, Environment, Food Biochemistry. Ozlem Turgay is currently working as an professor at Kahramanmaras Sutcu Imam University, Turkey. She has completed her Ph. 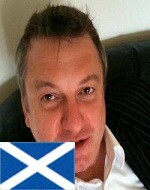 D from the faculty of Food Hygiene and Technology, Istanbul University, Turkey. 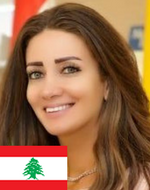 She has more than 18 years of teaching experience with more than 30 International Publication and presented more than 15 talks in international conferences. She is an active member of Association of Biotechnology, American Association for the Advancement of Science, Association of Veterinary Food Hygienists and Environmental Problem Research and Application Center (KSÜ). She has also coined more than 20 international awards to her name. 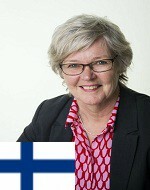 Anne Pihlanto has completed her PhD from University of Turku. She is managing the Innovative Food Chain research area at Luke. She has over 20 years’ experience in food protein research. 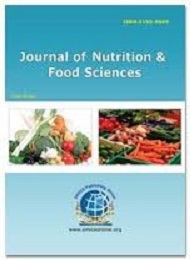 Her publications with original results within food technology, chemistry and medical science have been presented in scientific international journals, monographies and invited book chapters. Her articles are published in microbial, food and dairy science journals and total amount of scientific papers is about 150. Proteins and peptides, utilisation of coproducts. Antioxidants from food of plant origin with special emphasis on cereals, pseudocereals, legumes and cruciferous;qualitative and quantitative changes of antioxidants in technological processes;antioxidative capacity of food, dietary-derived antioxidants in functional food development. Amiza M.A. completed her Bachelor of Technology (Food Technology) from Universiti Sains Malaysia in 1993 and obtained her PhD from Leeds University, UK in 1998. Currently, she is an Associate Professor and Dean of School of Food Science and Technology, University Malaysia Terengganu, Malaysia. Her main research interest is on food protein. Christopher Smith joined MMU in November 2010 as the Director of the Manchester Food Research Centre and Professor of Food Science at Hollings Faculty.Educated in Liverpool,he took his first degree in Applied Biology followed by a PhD in Chemistry at the University of Salford.He is Editor-in-Chief of Food and Agricultural Immunology and International Journal of Food Science and Technology.He has published over 100 scientific papers, many in the field of Food Science; he has provided chapters for books and spoken at over 150 scientific meetings.He has also been instrumental in organising the biannual Environment and Food Mass Spectrometry Special Interest Group meetings as well as the 2008 IFST Annual Meeting, the First International Chester Food Science and Technology Conference and the Food Nanotechnology Conference.He is currently Editor-in-Chief of Food and Agricultural Immunology Foods. Dr. Gary Stoner is Professor of Medicine at the Medical College of Wisconsin (MCW) Division of Hematology and Oncology, specializing in the fields of chemical carcinogenesis and cancer chemoprevention. He serves as Director of the Molecular Carcinogenesis and Chemoprevention Program in the newly developing Cancer Center.Dr. Stoner received his PhD in microbiology from the University of Michigan in 1970 and became involved in cancer research as a post-doctoral fellow and research scientist at the University of California-San Diego (UCSD). While at UCSD, his research was focused on the development of a mouse model of lung cancer for the identification of environmental carcinogens and for mechanistic studies of lung carcinogenesis. He then joined the Laboratory of Human Carcinogenesis at the National Cancer Institute where he conducted research on the metabolism of tobacco carcinogens in human lung tissues and developed human lung cell culture systems for investigations of carcinogen/oncogene-induced cell transformation. He became involved in chemoprevention research in the early 1980’s while at the Medical College of Ohio, initially investigating the chemopreventive potential of naturally-occurring ellagitannins and isothiocyanates in the rodent lung and esophagus. As an extension of research with ellagic acid, Dr. Stoner’s laboratory developed a “food-based” approach to the prevention of esophagus and colon cancers in rodents and in humans using freeze-dried black raspberries. His research is documented in more than 350 peer-reviewed publications and book chapters, and he has edited several books. Gustavo V. Barbosa-Cánovas received his B.S. in Mechanical Engineering at the University of Uruguay and his M.S. and Ph.D. in Food Engineering at the University of Massachusetts-Amherst while being a Fulbright Scholar. Quite recently he was awarded a Honoris Causa Doctorate at Polytechnic University of Cartagena, Spain. He worked as an Assistant Professor at the University of Puerto Rico from 1985-1990, during which he was granted two National Science Foundation (NSF) awards for research productivity. Next, he went to Washington State University (WSU) where he is now a Professor of Food Engineering and Director of the Center for Nonthermal Processing of Food (CNPF). Dr. Barbosa-Cánovas was editor of the journal of Food Science and Technology International published by SAGE, as well as for the journal Innovative Food Science and Emerging Technologies published by Elsevier and the Food Engineering Theme in the Encyclopedia of Life Support Systems (EOLSS) published by UNESCO. Dr. Barbosa-Cánovas is the Editor-in-Chief of the Food Engineering Book Series published by Springer as well as the Food Preservation Technology Series published by CRC Press. 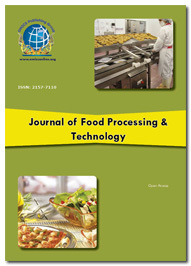 At the same time, Dr. Barbosa-Cánovas is Editor-inChief of Food Engineering Reviews, published by Springer. He has edited several books on Food Engineering topics, and authored: Food Powders, Food Plant Design, Dehydration of Foods, Preservation of Foods by Pulsed Electric Fields, Unit Operations in Food Engineering, Nonthermal Preservation of Foods. Dr. Barbosa-Cánovas is also International Consultant for the United Nation’s Food and Agriculture Organization (FAO), and a consultant for several major food companies around the World. Dr. Barbosa-Cánovas is the Immediate-Past-President of the International Society of Food Engineering (ISFE) and Chair of the Scientific Council of IUFoST (International Union of Food Science and Technology). He has received several prestigious awards such as the IFT Nicholas Appert Award (Highest Award in Food Science and Technology), IFT International Award and is an IFT, IFST, and IUFoST Fellow as well as Member of the Uruguayan Academy of Engineering. In 2010 he received the Sahlin Award for Research, Scholarship and Arts at Washington State University (highest research award at this University) as well as a Fulbright Fellowship. In 2013 he received another two relevant fellowship, the first granted by the Japan Society for the Promotion of Science (JSPS) to lecture in several prestigious Japanese universities for three weeks and the second one by the University of Salerno, Italy to spend a sabbatical leave for six months to conduct research, offering lectures and teaching a senior course. Improve the quality of processed products by retaining food’s initial freshness, Extend the shelf life of foods,Achieve energy savings and favorable economics when combined with current commercial food preservation systems. Dr. Howard Zhang is the Director for the USDA ARS Western Regional Research Center in Albany, California. He leads research on Produce Safety, Plant Mycotoxin, Foodborne Contaminants, Processed Foods, Bioproduct Chemistry and Engineering, Crop Improvements and Utilization, Genomics and Gene Discovery, and Exotic and Invasive Weeds.WRRC also houses the Plant Gene Expression Center, ARS Pacific West Area office, Forest Service Branch and an APHIS laboratory. Dr. Zhang is a member of the Federal Senior Executive Service. Howard was born and raised in Hunan Province of China. He received his BS from Hunan Agricultural University in 1982, MS from the University of Guelph in 1987, and Ph.D. from Washington State University in 1992. He served two years as post-doctoral associate at Washington State University. He was then appointed Assistant Professor (1994-1999),Associate Professor (1999-2003) and Full Professor (2003-2004) at the Ohio State University. In 2004 he joined USDA as Research Leader for Food Safety Intervention Technologies. Ruihong Zhang is a Professor in the Department of Biological and Agricultural Engineering at University of California, Davis (UC Davis). Dr. Zhang has more than 25 years of research and teaching experiences with bioenergy and biofuel production, waste treatment and environmental quality management and control. She has successfully transferred new technologies from her laboratories to commercial companies. She is now serving as Chief Technology Advisor for CleanWorld, a Sacramento based bioenergy company. She has over 300 scientific publications and seven patents. Dr. Zhang received her PhD degree of Agricultural Engineering from the University of Illinois at Urbana-Champaign in 1992. She then joined the faculty of Iowa State University in 1993 and the faculty of UC Davis in 1995. She conducted innovative research and technology development on the production of biofuels and biochemicals from food and agricultural wastes. Dr. Zhang received several prestigious awards, including the New Holland Young Researcher Award from the American Society of Agricultural and Biological Engineers in 2003, Environmental Award from the U.S. Environmental Protection Agency in 2007, and Distinguished Career Award from Association of Overseas Chinese Agricultural, Biological and Food Engineers in 2010, Achievement Award from California Bioresources Alliance in 2013, and CleanTech Innovator of the Year from Sacramento Regional Technology Alliance (SARTA) in 2014.